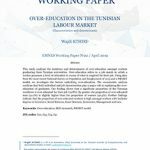 This paper focuses on the study of Tunisia’s integration into the global value chains (GVCs) and the role of the offshore regime and foreign direct investment (FDI) in this process. After the brief illustration of the origin of the GVC concept, this document tackles indicators that give more precise picture of the integration level, as well as the positioning of Tunisia in the GVCs. From our analysis, it appears that the offshore regime and FDI currently constitute an essential element of this economic development process. Foreign affiliates play an important role in the participation of the GVCs of Tunisia. The country shows a high level of participation in GVCs in many industrial activities (textiles, clothing and leather, chemical industry, agri-food industry but more particularly, the sector of mechanical-electrical and electronic industries) and services (business services). In Tunisia, forward linkages are less pronounced than backward linkages with GVCs. 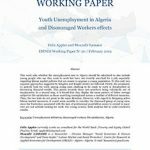 This dynamic motion may be expected to continue if Tunisian businesses have denied access to technological development. 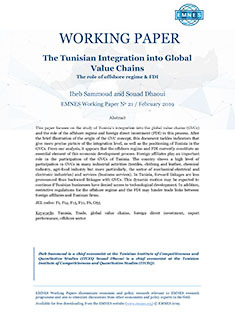 In addition, restrictive regulations for the offshore regime and the FDI may hinder trade links between foreign affiliates and Tunisian firms.